Exterior sealants are one of the most overlooked aspects of building maintenance, and it’s largely due to how invisible they are. Contrary to their importance in a building’s aesthetics, they are extremely vital in other areas. Exterior sealants are one of the best ways to insulate a building and prevent heat from escaping, and if you have damaged mastic sealing, there’ll be additional electricity bills to cover. Not only that, but the exterior sealant is vital for the building’s integrity and protection. It prevents the outside weather from seeping through to the foundation of the building and damaging it. These make it paramount to take care of the exterior sealants and regularly replace or amend the mastic coating. This is usually a problem because it takes a lot of time and prior set-up (like installing a scaffold and getting permission). That’s where we can help you. 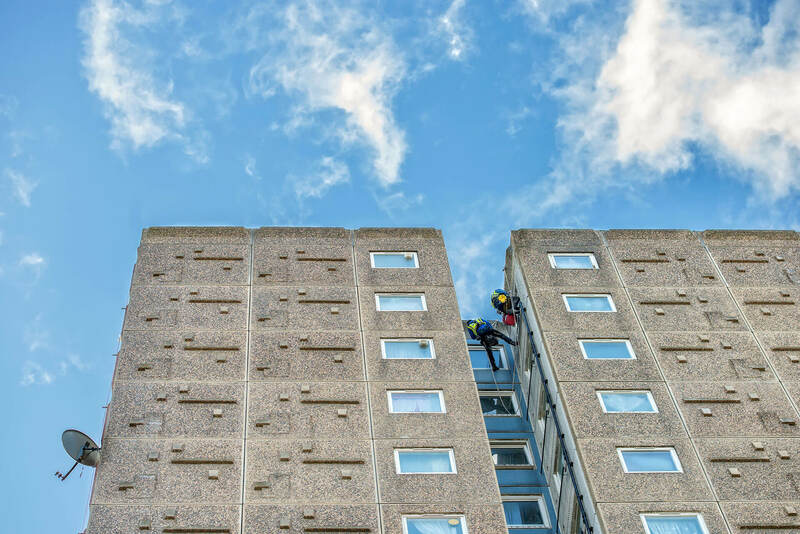 Our specialists have a lot of experience with mastic replacement, roof repair, and repainting in high-rise buildings. We’ve been contractors for large companies because they recognize how fast, professional, and efficient we are. Whether it is a large or small project, wherever in London it may be, we’re the team for the job.